Looking for western americana books? Biblio.co.nz hosts hundreds of of the finest online book stores and booksellers, including specialists in western americana. Use the list below to locate a specific specialist bookseller or book store near you. Or, use the form below to search the inventory of all booksellers who specialize in western americana. sale of my collection of books from my 36 years in the book business. On line bookseller specializing in, but not limited to, Western Americana, Anthropology/Archaeology, & Age of Exploration. The Argonaut Book Shop was founded in 1941 in the middle of the financial district of San Francisco. The Argonaut was a founding member of the Antiquarian Booksellers\' Association of America and has been a member in good standing ever since. The Shop is now located just three blocks from Union Square in downtown San Francisco and is open six days a week. Parking facilities include ample street space and a parking garage close by. The bookstore occupies two large rooms open to the public. One enters first into a large room with oak flooring and antique bookcases filled with fine and rare books, mostly dealing with the history of California and the American West. This room also includes fine press books and other rare subject matter. 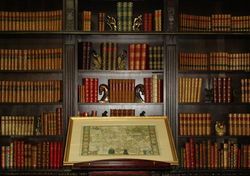 The second room is devoted to good books in varied subject areas including art, maritime, American civil war, books on antiques, literature, regional Americana, etc. Back of Beyond Books in Moab, Ut specializes in books on the American Southwest, both new and antiquarian. Barbed Wire Books is an independantly owned real bookstore in northern Colorado. We've been in business since 2009 and are proud of our award-winning, 5-star reputation for excellent customer service. Our store stocks all sorts of books with note-worthy Western Americana and Children's sections. Not all inventory is listed online so please contact us for specific titles. 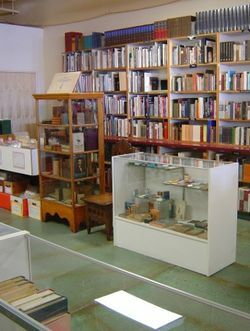 BASEMENT BOOKS, located at about 7,000 feet in the mountains east of Albuquerque, New Mexico, specializes in hard-to-find non-fiction, Western Americana, and First Edition mysteries and literature. We stock a full range of books including hardcover, paperback, antiquarian and modern. We have been in business as a brick-and-mortar book store since 1975 and as an on-line store since 1997. Black Hills Books and Treasures specializes in collectible, scarce, rare and out of print books from the Black Hills region as well as Western Americana, Native American, overland trails, and special collections. We also have new books about the Black Hills region and general western Americana. We also feature non-book treasures such as regional artworks, native American works, ironwood carvings, and special collectibles. We provide complete book search services and will ship anywhere in North America. Books For You is a brick and mortar store with about 50,000 books, both hardcover and paperback. We have a general stock including a variety of fiction and non-fiction. Only about 3500 of these books are on line. Internet and closed shop sales, please call for appointment, glad to have visitors see the stock. 20 years experience, using only the strict, traditional definition of the term, "First edition" and grading conservatively to ABAA standards. We do not do 3rd party drop shipping. Buckingham Books specializes in new, used and rare books dealing with Mystery and Western Americana. Books in the mystery field include not only Mystery, but also Detective, Espionage, and Adventure Fiction. Our Western Americana Section offers books about the development of the American West. All books in our inventory are First Editions unless clearly stated otherwise. Carpe Diem Fine Books offers a discriminating selection of out-of-print, signed and unusual books in all fields – with an emphasis on the history and literature of California and the West. Proprietors James Bryant and Mary Hill have served an international clientele of private collectors and libraries since 1995. Their book gallery, located in a charming 1930's Carmel stone building just steps from the Robert Louis Stevenson House in historic Old Monterey, features a constantly changing inventory - from the classics to the unexpected. Our retail shop closed on 4/13/13. Santa Rosa office visits by appointment only. Dee and Don Patterson operated an open store for several years then moved much inventory to an antique mall, with better books online. They do a book fair now and again. The Chisholm Trail Bookstore is an independently owned and operated establishment selling solid, interesting, and thought-provoking tomes. Specialties are technical texts, university press books, regional Oklahoma and Western Americana books, and art catalogues. 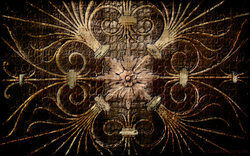 Our fine editions include numerous limited editions, first editions, signed editions, and leather-bound editions. Dakota Literature sells Modern First Editions, Western Americana, the Dakotas & Surrounding Midwestern States, Hunting, Fishing & Firearms, Military Books. Satisfaction is guaranteed. David Spilman Fine Books, ABAA & IOBA, specializes in books, maps and related items in Exploration, Adventure and History of the World. We focus on Pacific and Polar exploration, Western Americana, California, Alaska and Oregon, Gold Rush eras and a little bit of This & That. We sell online and at Book Fairs. Visit our website for more information at www.davidspilmanfinebooks.com. Your on-line bookseller for first editions and signed copies of your favorite authors' books. I ship your treasures with love and care for their safe arrival to your library. Each book is carefully inspected for quality control by� employees, Gertie the Book-cat and Rosie the Rex. PROSPECTIVE BUYERS of individual books or groups of books MAY CONTACT Gene W. Baade Books on the West for direct purchases (Paypal, check, money order) at (425) 271-6481, or email [email protected] Gene W. Baade, Books on the West issues regular catalogues of quality rare and used non-fiction (and some fiction) Western books relating to cattle/cowboy culture, Native American history, outlaws and lawmen, Western art and photography, and the whole range of subjects especially related to U.S. history west of the Mississippi River. We also have a stock of various nonfiction, modern fiction, miscellaneous and unusual titles. We are noted for quality customer service & protective packaging for shipment. The great majority of titles that we have on hand are single copies, so undelayed inquiry is recommended. We respond to telephone calls and email messages as promptly as we can. Our shipping fees and payment methods are given under Terms of Sale. We have many titles, especially in the Western field, that are not yet on our database. Please inquire if you have specific wants. Contact us if you'd like us to mail you a current catalogue. Our inventory of over 45,000 catalogued titles focuses primarily on 18th and 19th century Americana with specialities such as Voyages and Travels, Local Histories, Indians and the West and the Civil War. Also included in our collection are English and American literary first editions, Limited Edition Club selections and Books about Books. Independent bookseller with over 40 years in retail and mail order experience, Our main specialties are books about Texas history, Texas authors, ranching, cattle, lawmen, outlaws, genealogy and family history, county and community history. Inquiries are welcome (1- 210-781-9650). Old West Books specializes in rare, out-of-print books on the American West. Books are shown by appointmnet only. Catalogs are issued 3 times each year. Home-based bookseller of collectible books. No open store, sales are made through the Internet or at various antiquarian book shows. Specialties include first edition fiction, Western Americana, Texana, and golf. The Antiquarian Department at Page 1 Books, located in the largest used bookstore in Albuquerque, NM, offers a broad selection of collectible and out-of-print books and ephemera in all genres. Pierian Spring Books has been selling rare and collectible books since 1989. We specialize in Western Americana, Mormons, and Utah, especially books in original dust jackets published before 1930, pre-publication books and ephemera (manuscripts, galleys, proofs, ARCs, prospectuses, etc. ), and Fine Press and Limited edition books. Outside of Western Americana, we also focus on Books about Books, Bibliomysteries, and Modern First Editions. Only a fraction of our books are currently listed on-line, so please contact us with any want list items and we may be able to help you. 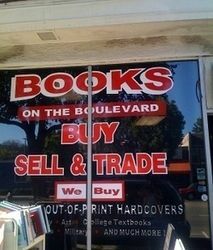 We have been selling Fine Used Books for 20 years. Currently we sell on the internet and at bookfairs. We list any defect in a book and then assign an overall grade (Fine, Near Fine, Very Good)to the dust jacket and then to the book. Robert Gavora, Fine and Rare Books has been a full-time mail order bookstore since 1984. Beginning with a small inventory of 400 books, we now have over 10,000 books. Though we do not have an open store, every year we exhibit at between 12 to 14 book fairs and events in the Western United States. All our books are listed on line and visitors are welcome by appointment. We are an Open Shop located in the Historic District of League City, Texas, midway between Houston and Galveston. We have served Colleges and Libraries since 1967 and opened to the Public in 1992 in a renovated c.1911 house built by Judge J.S. Scott and his wife, Pearl. Our Store specialty is Texana, both new and out-of-print. We also have a good selection of General Stock, with emphasis in Western Americana, Art, Architecture and History. We provide complete ordering services for in-print titles and diligently search for the hard-to-find or out-of-print title you desire. Feel free to visit our shop Tues-Fri 10-6; Thurs Noon-8, Sat 10-4 Central Time. Closed Sunday & Monday. Simmons & Simmons Fine Books LLC has been in the out-of-print and rare book business since 1988. We also specialize in paper ephemera, vintage sheet music and antique photography. Internet only bookseller specializing in modern first editions, signed books, western americana, and general interest out of print books. Weller Book Works was founded as Zion Bookstore in 1929. Over the years we’ve been known as Sam Weller’s Books and Sam Weller’s Zion Bookstore. We are in our third generation of operations, owned and managed by Catherine and Tony Weller. Our bookstore sells new, used and rare books in a space built to surprise and delight you in historic Trolley Square. You can find Weller Book Works at our store at Trolley Square in Salt Lake City or you can search our inventory online. Either way, we’re delighted to answer your questions and help you select just the right book. Xochis has been selling books, in Truth or Consequences, New Mexico, for over 25 years. They specialize in Southwestern Americana, but also carry a range of quality, desirable books!